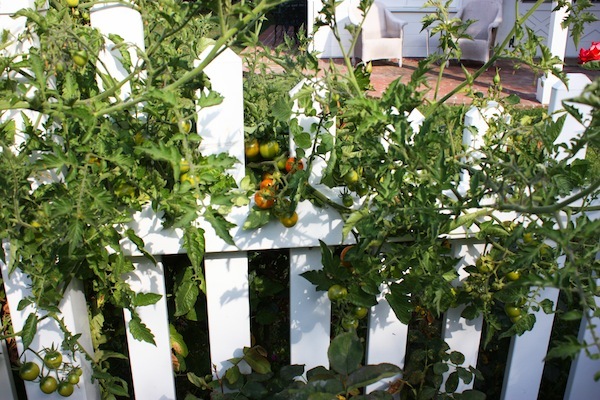 Remember that crazy tomato plant that just popped up 3 years ago, uninvited, in my rose garden? The one that produced over 8,000 delicious big cherry tomatoes? Well it came back this year and was going along beautifully, and quickly. I could tell it was going to be huge. 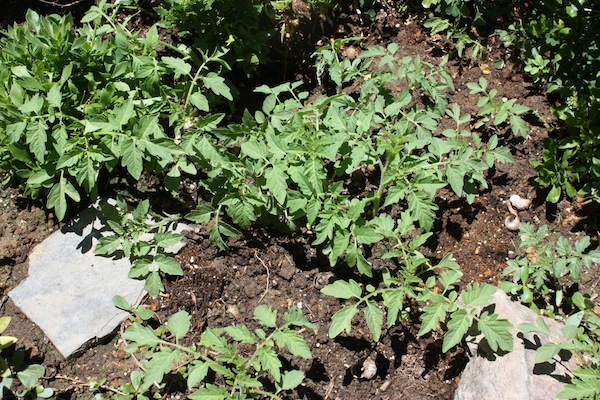 I even got a few sweet, delicious, red, vine-ripened, organic tomatoes… until THEY showed up. 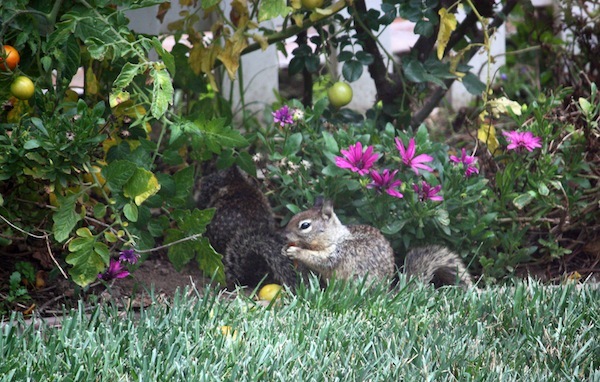 The nasty squirrels started coming by every day and they and ate every red tomato – not only that – they ate the green ones too so there was no chance of any tomatoes for us. This was a lot of squirrels. They brought their families, probably renting motorhomes and minivans to bus everybody in. The battle was no longer worth fighting. It was time to end it, like a bad breakup. If I can’t have you, nobody will. About 3 weeks ago, I went out at night and took out the plant, including the roots so it could never come back. 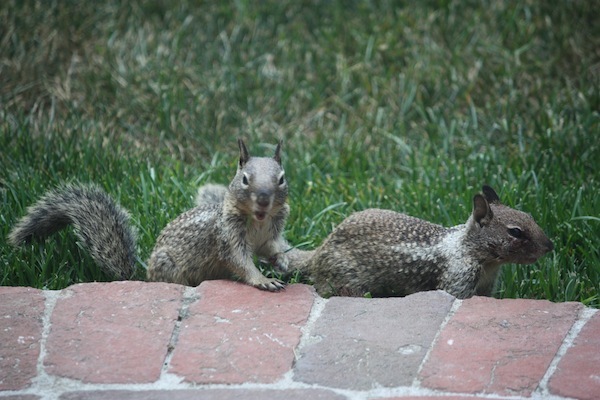 The next morning, the squirrels were pissed, running around like the world was going to end. They even came up to the window to express their anger, knowing I had just ruined their entire summer. Too bad, you mangy, rat-faced, no-good, low-life, beady-eyed, scum-sucking, tomato-stealing squirrels because the tomato plant is gone. And don’t come looking for it again because it’s never coming back. That was 3 weeks ago. Look what I found this morning. Twenty-three tomato plants just popped up in 3 different locations. What now???? ?